LA PAZ, Bolivia (AP) — A passenger bus crashed head-on with a dump truck in southern Bolivia on Monday, killing at least 24 people and injuring 12 more, police said. The accident occurred in a dense fog on the high-plains highway connecting Potosi and Oruro, about 135 miles (220 kilometers) south of the capital. Police said the bus was en route to Oruru from the town of Villazon on the Argentine border. Police Col. Jose Pizarro told state television that the cause of the accident was under investigation. 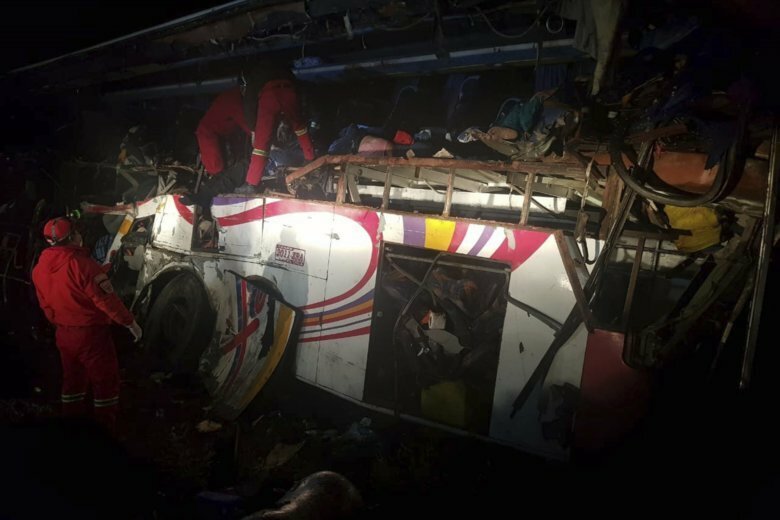 Two buses collided on the same highway in January, killing 22 people.